A view of the top of one of the few outdoor items in my garden that stays out year-round. It provides interest in all seasons. A Silver Maple leaf sticks to my car’s front window as the cold, icy mornings of November are upon us. 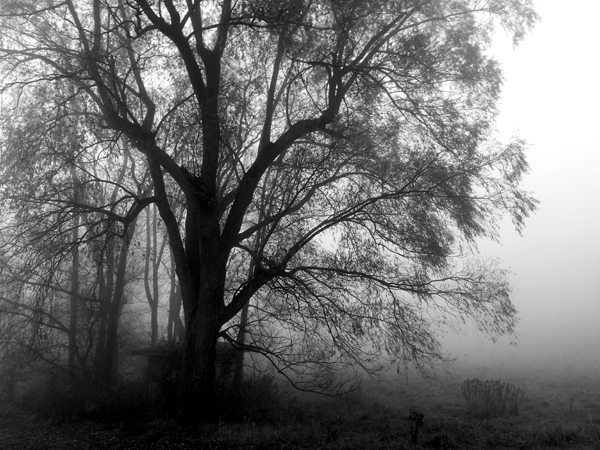 Down near the water at Westminster Ponds is this large willow that I photographed for the first time last week in the fog. It is such a nice tree that I am sure I will feature it again. 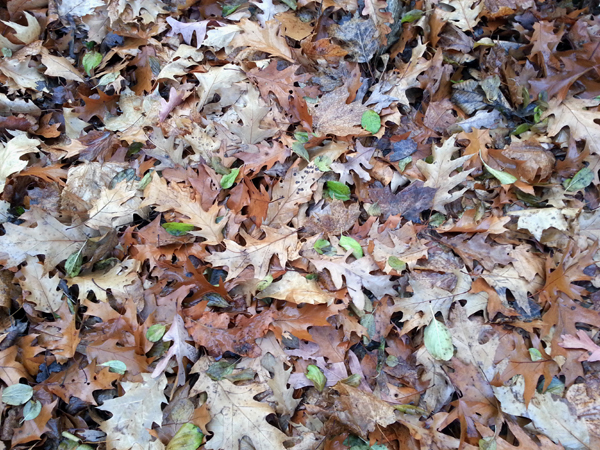 I couldn’t resist taking a photo of such a beautiful forest floor adorned with tones of brown from fallen oak leaves and dotted with small green leaves for added colour. 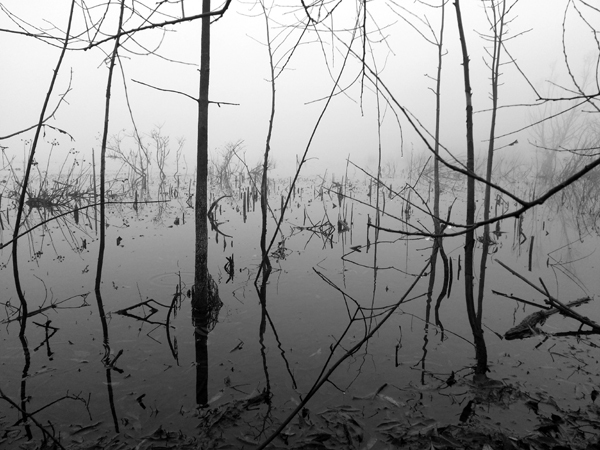 One morning last week, one of the Westminster ponds took on a rather swampy look in the fog. 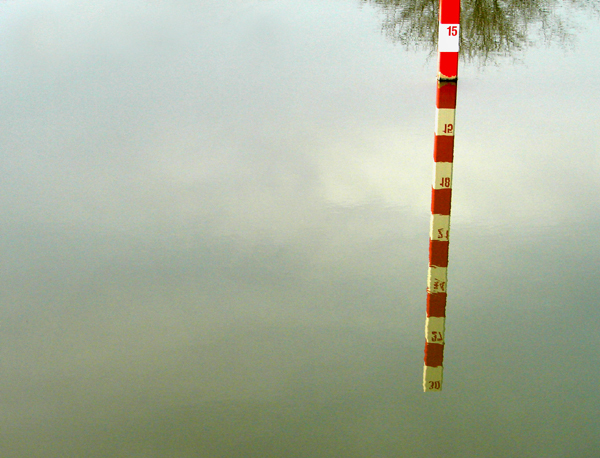 An old school water marker reflects in a pond beside Parkwood Hospital in south London. 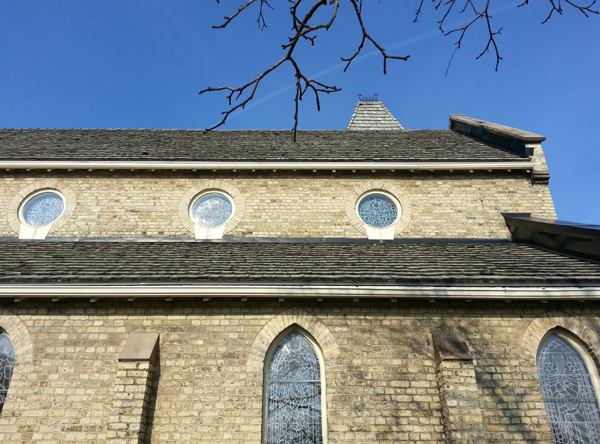 A view of the roof line of St. John church, built in 1875, in the little village of Arva just north of London.